Standard Chartered has signed two separate loan facilities, both backed by the Multilateral Investment Guarantee Agency (Miga), to accelerate infrastructure development projects across Africa and boost the agricultural sector in South Africa specifically. The first is a US$200mn term loan facility for the Development Bank of Southern Africa (DBSA), in which Standard Chartered took the lead role as sole global co-ordinator and bookrunner and DZ Bank joined as mandated lead arranger (MLA). The facility will be utilised for onlending to support investment in key infrastructure and development projects on the continent. The second is a US$300mn 10-year term loan facility for the Land and Agricultural Development Bank of South Africa. Again, Standard Chartered acted as global co-ordinator and DZ Bank as joint MLA. The loan is denominated in US dollars, but the financing structure will enable Land Bank to obtain liquidity in South African rand for its lending operations. 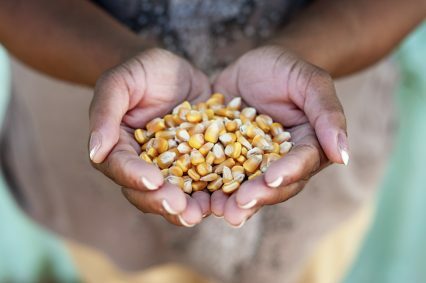 The facility will help increase long-term liquidity for the benefit of the agricultural sector in South Africa, which is especially vulnerable as a result of severe drought conditions. “Securing sustainable financing is vitally important for us to give effect to our mandate of creating greater access to the agricultural sector and ultimately bringing more land under production to ensure food security,” says TP Nchocho, CEO of Land Bank. This year Land Bank has worked with the World Bank to secure R1.3bn-worth of credit to help emerging farmers. “Land Bank believes that these kinds of partnerships go a long way in ensuring the availability of sustainable finance solutions to deepen our development impact,” Nchocho adds.